Ronnette Finch, a mother of two, has been a member of the New Castle County Chapter since 2003. Her committee involvement includes Membership (Co-Chair 2006-2012), Bylaws/Policies and Procedures (Chair – 2011-2013), Kwanzaa, Black Family Day, Founders Day. Ronnette also served as Delaware Valley-Southern Cluster Fall 2010 Chair and was a Steering Committee Member for the 2012 National Convention – 75th Anniversary as well as Chair of the convention Business Center. Prior to being elected President, Ronnette has held the offices of Vice President, Recording Secretary and Parliamentarian. 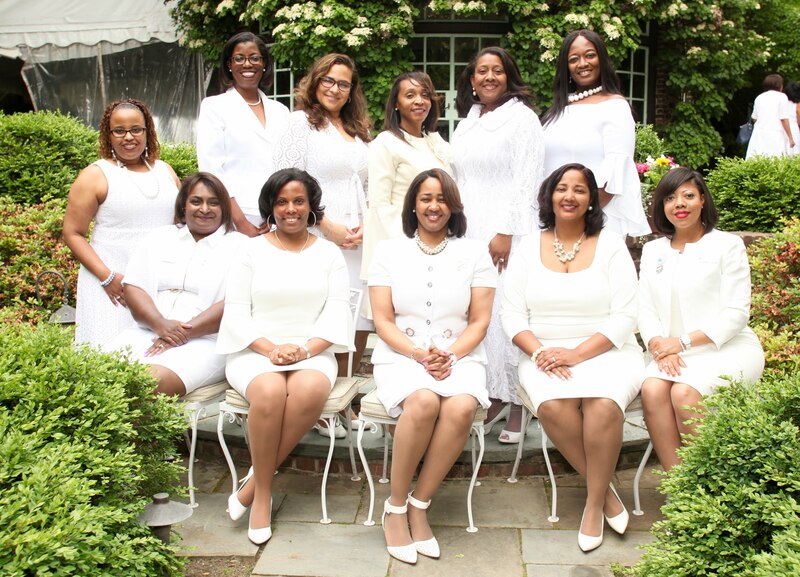 Shawn Hill, a mother of one, has been a member of the New Castle County Chapter since 2012. Since joining Jack and Jill, Shawn has served in leadership roles such as Age Group Chair and Fundraising Chair. She was elected the chapter’s Treasurer and Budget Committee Chair in 2015. Andrea, a mother of two, has been a member of the New Castle County Chapter since 2009. She has held offices including Corresponding Secretary, Program Director and Assistant Program Director. Her committee involvement has included Membership. Andrea has also attended one National Convention. Crystal Barrow, a mother of three, has been a member of the New Castle County Chapter since 2007. Since Joining, Crystal has participated on numerous committees. Prior to being elected Editor, she has held various leadership positions within the chapter including President, Vice President, Age Group Chair, Hospitality Chair and Membership Chair.